This collaboration ensures the Karie home health appliance will be entirely developed in Canada. GUELPH, ONTARIO | March 20, 2018 – Canadian healthtech company AceAge Inc. and Burlington-based electronics manufacturer Urtech have joined forces to bring Karie, a home health appliance, to market by summer 2018. The personal health companion schedules, delivers and monitors medication regimens, providing users with increased independence and improved health outcomes. 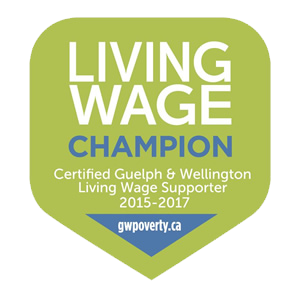 Each company looks forward to bringing a Canadian-made product to those who need it. The joining of AceAge and Urtech is an exciting step for both parties. With 30 years of industry experience, Urtech meets the immediate needs of a healthtech startup and has the longevity to grow with AceAge. Urtech has the flexibility to produce AceAge’s first order of devices with the capability of expanding to 100,000 units per month. Urtech has a US-based factory which will enable AceAge to effectively operate and manufacture products for their markets on the other side of the border. Throughout the next twelve weeks, AceAge and Centric Health Corporation will be working with Urtech to complete thorough end-to-end systems testing in preparation for the product’s launch. In August 2017, Centric Health Corporation, Canada’s leading diversified healthcare company, signed a strategic distribution and supply agreement and a strategic investment with AceAge Inc. for their product Karie. 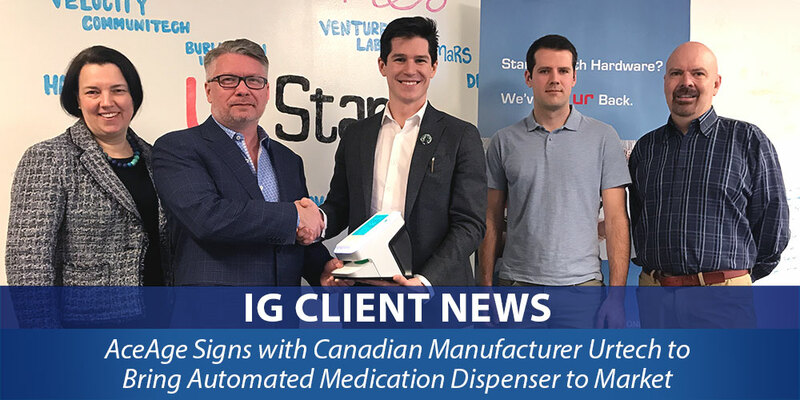 Centric Health is currently the only pharmacy chain operator in Canada offering the home health appliance and has the demand driving production. Karie will be exhibited at the “Together We Care” conference April 9-11, and will be commercially available this summer. To learn more and sign up for updates, visit www.kariehealth.com. Urtech is a flexible contract electronics manufacturer renowned for exceptional service in engaging with innovative companies locally in long-lasting relationships. Certified in ISO 9001:2015 and ISO 13485:2016 for Medical Devices assembly, Urtech provides world-class quality in printed circuit board to full system assembly, from prototyping to high-volume production, to enable local real-time innovation as products come to market. Offering global supply chain and full distribution logistics, Urtech has experienced major growth and expansion in Canada and the USA and has a solid customer base across a robust range of industrial, IoT and Smart Healthtech products. Urtech has been recognized as a finalist in the 2018 Burlington Business Excellence Awards and selected as a manufacturing partner by some of North America’s best brands. Centric Health is listed on the TSX (CHH). Centric Health’s vision is to be Canada’s most respected and recognized provider in the independent healthcare sectors in which it operates, and world renowned for delivering the highest levels of quality care and outcomes, innovative solutions and value to patients, clients and stakeholders.